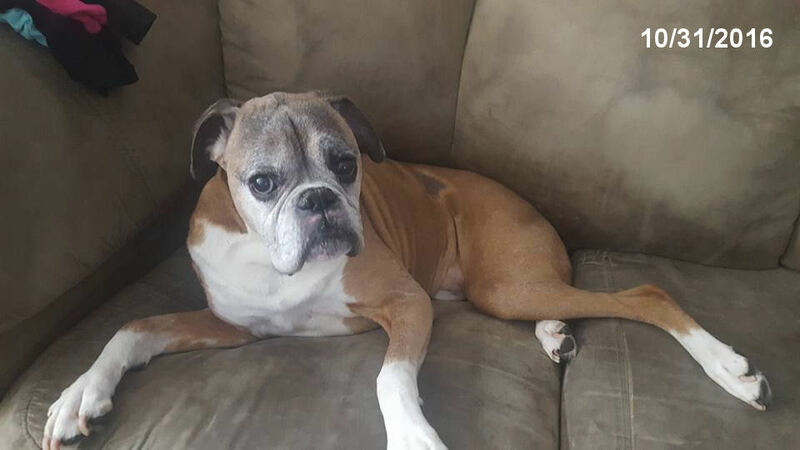 People do the worst of things sometimes, case in point, our Sugar Ray. 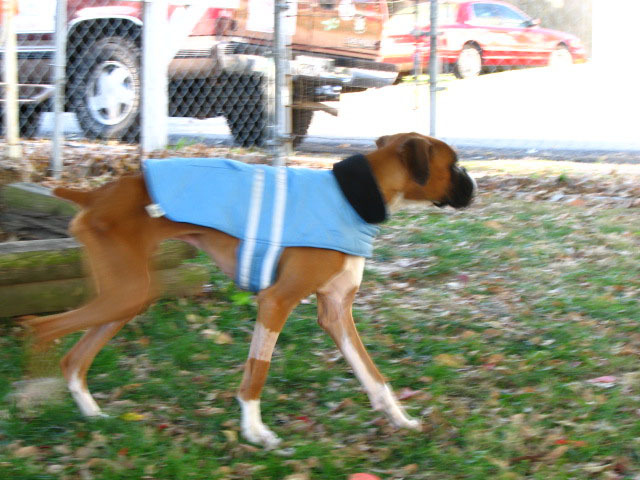 He is possibly the most emaciated dog we have ever seen that was still alive. His skin literally hangs on his bones. Yet, he finds the energy to bark, give lots of air kisses and wag his tail. It is unbelievable that he has that much will to survive. 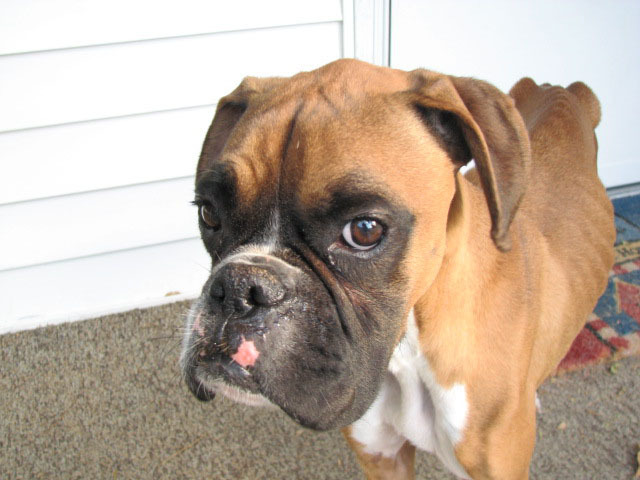 On the evening of 11/1/2007 we received a call from The Animal Emergency Hospital in Collinsville Illinois stating that a dog had been left in a vacant house for at least a month and a half with no food or water. 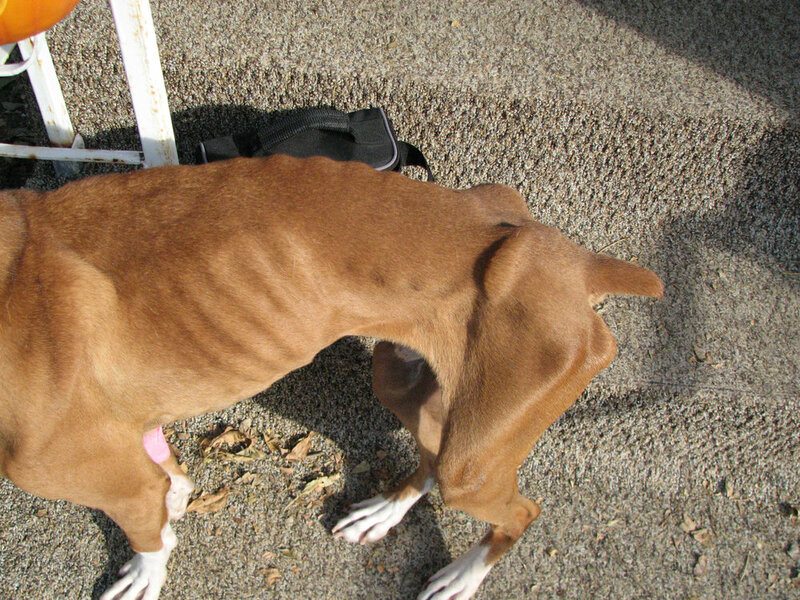 The dog was barely able to stand and was only a couple of days from starving to death. Sugar Ray should weigh 60 lbs but he only weighed 30 lbs. These pictures do not do him justice, we can hardly look at him without crying. He is still in huge danger for feeding him after being without food for so long could still kill him. How could anyone look into these loving eyes and just turn and walk away? There is no excuse for this kind of neglect. We as a society have turned a blind eye too many times. Individuals who have animals MUST take responsibility for the basic care of their animals - adequate food, water, shelter and medical needs. 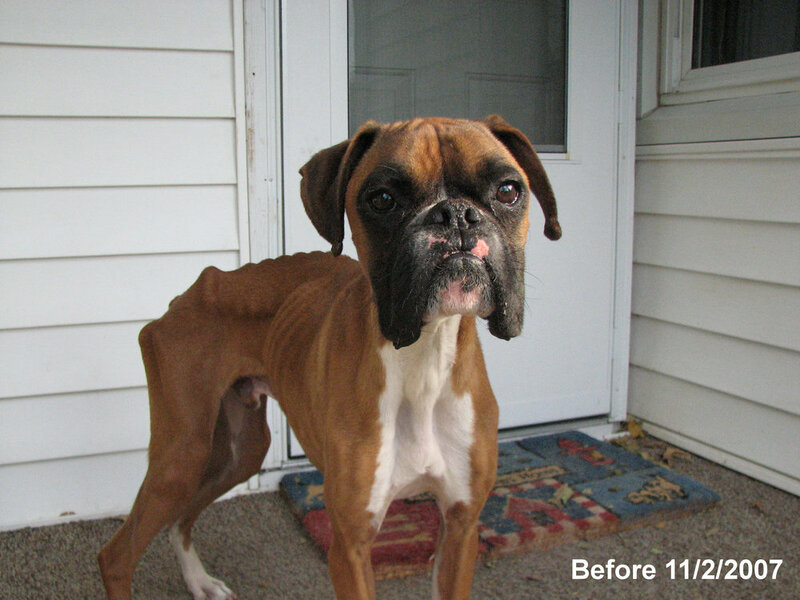 Sugar Ray responded very well to his rehabilitation and was adopted by an amazing family .